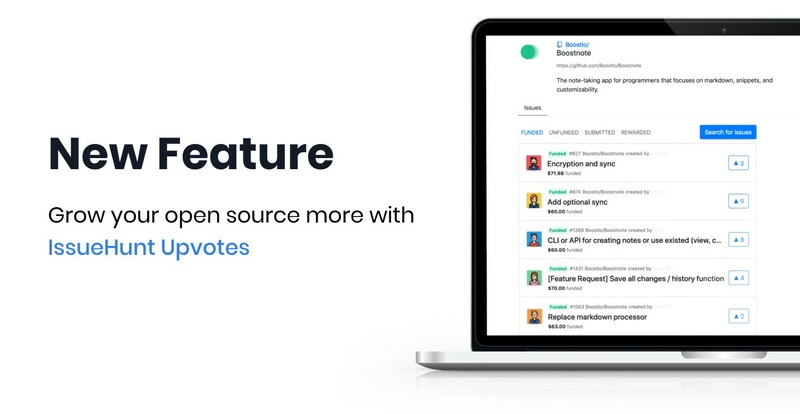 We’re excited to introduce you to our newest feature: IssueHunt Upvote, the perfect way to support, share, and keep track of your favorite open source. Upvote repositories or issues to show your support and keep track of your favorites. The more upvotes a project gets, the higher the chances for its issues to be solved. Share upvoted repositories or issues to recruit more contributors. If you have any question or feedback, you can simply hit comment to this article. That’ll put you right in touch with our team! The funding platform for open-source projects.